Would you make a good psychologist? Take our career test to find out how you match with this and over 800 other careers. What is the workplace of a Psychologist like? Which psychology blogs are widely read by psychology professionals and students? A psychologist is someone who studies mental processes and human behaviour by observing, interpreting, and recording how people relate to one another and the environment. Some psychologists work independently, doing research or working only with patients or clients. Others work as part of a healthcare team, collaborating with physicians, social workers, and others to treat illness and promote overall wellness. Psychologists seek to understand and explain thoughts, emotions, feelings, and behaviour. Depending on the topic of study, psychologists use techniques such as observation, assessment, and experimentation to develop theories about the beliefs and feelings that influence a person’s actions. Psychologists often gather information and evaluate behaviour through controlled laboratory experiments, psychoanalysis, or psychotherapy. They also may administer personality, performance, aptitude, or intelligence tests. They look for patterns of behaviour or cause-and-effect relationships between events, and use this information when testing theories in their research or treating patients. Are you suited to be a psychologist? Psychologists have distinct personalities. They tend to be investigative individuals, which means they’re intellectual, introspective, and inquisitive. They are curious, methodical, rational, analytical, and logical. Some of them are also social, meaning they’re kind, generous, cooperative, patient, caring, helpful, empathetic, tactful, and friendly. Does this sound like you? Take our free career test to find out if becoming a psychologist is right for you. Some psychologists work alone, which may include independent research or individually counselling patients. Others work as part of a healthcare team, collaborating with physicians, social workers, and others to treat illness and promote overall wellness. Many clinical and counseling psychologists in private practice have their own offices and can set their own schedules. Other typical workplaces include clinics, hospitals, rehabilitation facilities, and community and mental health centres. Most research psychologists work in colleges and universities, government agencies, or private research organizations. Most school psychologists work in public schools, ranging in level from nursery school through college. They also work in private schools, universities, hospitals and clinics, community treatment centres, and independent practice. Psychologists in private practice can often set their own hours, and many work part time as independent consultants. However, they often offer evening or weekend hours to accommodate clients. Those employed in hospitals, nursing homes, or other healthcare facilities may also have evening or weekend shifts. Most psychologists working in clinics, government, industry, or schools work full-time schedules during regular business hours. Psychology is the science of mind and behavior. It is a subject of ideas that need to be explored, argued, and validated. While there is a wide range of online resources available to psychology students and professionals, one of the most helpful, diverse, and often entertaining outlets are the web logs, known as blogs, that discuss various subjects in the field. Blogs have the capacity to accelerate discovery and open up a world without borders, because they connect us to our tribes. And in today’s world, those tribes are no longer local, but global connections of shared interests and passions. Connection with global psychology communities can provide insights and networks that can accelerate the learning process, spark an idea, present an opportunity, and lead to success. The Energy Project is on a mission to change the way the world works through business psychology. Founded by Tony Schwartz, the blog revolves around a holistic approach to business and employees in order to improve working life and, in doing so, also improve business. Blog categories include leadership, emotional, physical, awareness, mindfulness, and more. This blog takes the reader on a journey of all things dealing with the mind and how it works. 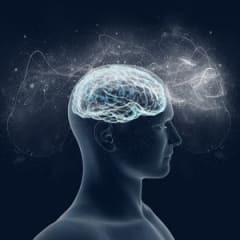 There are posts involving a wide range of topics about the brain and behavior, and all of the amazing connections between the two. The official blog of the American Counseling Association is a great place for counseling professionals to gather resources, find information, and access the latest innovations in the field of counseling. Anyone interested in the foundations of speech will thoroughly enjoy this blog. It is an excellent resource for psychology students who may be learning about the development and maintenance of speech. Although this is not a psychology blog, it’s an important resource for all psychology students. The blog will help psychology majors separate good and bad research. Brain Blogger is an excellent psychology blog that contains hundreds of articles about neuroscience, psychology, and healthcare. The popular blog has won a number of awards, and it’s easy to see why. Brain Blogger is a must-follow resource for anyone looking to keep up with news relating to the study of the brain and mind. This blog showcases brain and behavior videos that are available online for free. This includes lectures, documentaries, art films, educational videos, user-generated public service announcements, and much more. The blog’s goal is to compile a reviewed database of relevant videos to save time having to scour the Internet. The Child in Mind, which deals exclusively with child psychology, is an invaluable resource for parents and pediatric psychologists. The blog is managed by Claudia Gold, who specializes in modern developmental science and the facilitating of children’s emotional development. Article topics include mental healthcare, the power of the pharmaceutical industry, various public policy efforts, and other things that tend to obstruct progress in the field of child psychology. In this blog, professionals in the field publish news stories that show the success of cognitive therapy. Commitment to Living A family psychologist learns and teaches about suicide risk and prevention. The lighthearted title belies the important content housed on this site. The blog is devoted to presenting psychology students and professionals with cutting edge papers and research currently being conducted in some of the most fascinating – and cool – areas of psychology. Long-time psychiatrist Duncan Double presents readers with a thorough investigation of the field of psychiatry. He holds the field under a microscope and offers his critical opinion on many controversial areas in the profession. Dan Ariely, a well-known author and Wall Street Journal contributor, shares his thoughts and research on all kinds of topics via his blog. The list of topics covered is practically endless; though many posts focus on behavioral economics and the ways in which research can influence our decisions. In this blog, the writers present news and research on a range of areas including a website about Behavioral Economics, Data Science, Statistics, Marketing, Management, Psychology, Computer Science, Medicine, Policy and Law. This blog covers the most modern, cutting edge science on topics such as language, memory, stimulus response, and artificial intelligence. Whether you’re interested in neuropsychology and neuroscience, religion and politics, or professional psychology, Dr. X’s Free Associations blog has something for just about anyone. Dr. X posts about a dozen times a week. While this blog can be enjoyed by psychology students and even the informed lay person, it is an excellent resource for psychology professionals. Each article offers an intensive look into a topic relevant to the field of modern psychology. Evolutionary Psychology is a compilation of scientific research articles submitted to the site. The blog tends toward an academic tone, and accepted research covers topics usually focusing on evolutionary psychology and behavior. A research psychologist attempts to integrate theology with the experimental social sciences. This topics in this blog range from historical perspectives in the field to modern research and study. Psychology students and professionals can readily use the information found here. This blog focuses on mental health, drugs, and psychotherapy with an emphasis on the role of family dysfunction in behavioral problems. It discusses how family systems issues have been denigrated in psychiatry in favor of a disease model for everything. This model, the blog maintains, is the result of a combination of greedy pharmaceutical and managed care insurance companies, naïve and corrupt experts, twisted science, and desperate parents. In this blog, the author takes a detailed look into the world of psychotherapy. Dr. David touches upon strategies used in modern psychotherapy, workshops, and training sessions – all ways for professionals in the field to hone or boost their skills. This blog guides those who teach or plan to teach psychology at various levels. It highlights the best ways to stay on top of news and research, how to support your students, and how to help students understand the field so that they are ready for employment. Karen Franklin, Ph.D. is the psychologist-blogger responsible for In the News. Her blog posts are full of detail on specific cases in which psychology meets the law. Subjects include forensic psychology, criminology, and law. For psychology students and professionals working in the field, IQ’s Corner is a must-follow. The blog covers all of the latest news and developments in intelligence testing and other types of psychological testing. The author of this popular blog is Laura Freberg, an author and professor psychology at Cal Poly. Freberg describes her blog as, ‘One professor’s observations of the World of Psychology.’ Her posts cover a range of interesting topics. ‘News and views’ is the business of Mind Hacks. The blog’s impressive collection of archived articles detail various research studies, while weekly posts keep subscribers up to date on the latest news, books, and websites that psychology students and professionals are sure to find useful. NeoAcademic is written by Richard N. Landers, an industrial/organizational psychologist and associate professor of psychology at Old Dominion University. Both Landers and his blog specialize in the application of psychological principles to the working world. Each blog post covers something related to industrial/organizational education and training. Occasionally, Landers includes reviews of various books, conferences, and psychology programs aimed at students and professionals. Neuromarketing is the popular psychology blog of Roger Dooley et al. This unique blog aims to connect brain science with marketing. Each weekly post discusses some fascinating topic relating to consumer behavior, marketing, advertising, and sales from the perspective of psychology. This blog is cleverly written by David DiSalvo, a respected writer who posts intelligent musings on the intersection of cognition and culture. His blog covers a wide range of topics that are relevant to the field of psychology as well as to individuals with a topical interest in this area. Pop Psychology is the fascinating work of Jesse Marczyk, Ph.D., an evolutionary experimental psychologist. Marczyk’s blog consists of his thoughts and ideas on all sorts of topics relating to human behavior, each of which is presented with humor and concise writing. Seph Fontane Pennock has a passion for positive psychology. He strongly believes that we can deal with most of the absurdities of life without the use of pharmaceutical drugs and that doctors should prescribe walking or running and a plant-based diet instead of Prozac. Providentia is a top psychology blog written by Romeo Vitelli. About five new articles are posted per week, each of which dives deeper into the everyday world of psychology and topics such as mental illness, skeptical matters, and neuroscience. PsyBlog is the popular psychology blog by Jeremy Dean, a researcher at University College London. The tone of the blog is academic in nature and each post focuses on the scientific sides of the mind and the field of psychology. With more than 212,000 Facebook followers and 128,571 Twitter followers, Psych Central News is one of the top five most popular psychology blogs. The blog is home to a huge collection of fascinating articles on topics related to psychology and psychiatry, including ADHD, Alzheimer’s, anxiety, depression, parenting, and schizophrenia, to name but a few. PsychBlog is managed by Jamie Davies, a UK-based ‘assistant principal, writer, data scientist, and educationalist.’ Davies’ blog posts are generally aimed at undergraduate students taking psychology courses, but cover a number of topics that anyone interested in psychology will find fascinating. The popularity of Psychology for Photographers (it has nearly 20,000 Facebook fans) proves that psychology isn’t limited to textbooks and doctors’ offices. Psychology is everywhere, and this blog aims to explore ‘how psychology fits into the everyday workings of creative businesses.’ The blog posts, all of which are accompanied by stunning photography, discuss the psychology behind the ways in which people interact with each other, look at websites, make decisions, and talk to their friends, among other things. Psychology Today is the only general interest magazine devoted exclusively to everybody’s favorite subject: ourselves. Founded in 1967, the magazine covers all aspects of human behavior, from the workings of the brain to the bonds between people and the larger cultural forces that drive our most intimate decisions. This is an excellent blog for psychology students learning the ins and outs of psychological research. The site includes peer-reviewed journal articles, modern research, and much more. Research Digest is the blog of the British Psychological Society. This top psychology blog is a collection of scholarly articles on various topics of interest to psychology students and professionals, including a number on the newest and most cutting edge research. This blog is written for both school psychologists as well as parents of children who have special education needs. It covers a wide range of topics that face school psychologists during their work with students, parents, teachers, and others in the academic setting. Scientific American hosts a number of blogs in several different areas. The Mind blog is a varied look at many fascinating topics within the larger field of psychology. Almost anyone interested in modern psychology will enjoy this blog. Shrink Rap is the blog ‘by psychiatrists for psychiatrists.’ Managed by three semi-anonymous shrinks, the blog covers a long list of topics that includes psychotherapy, depression, anxiety, medications, and forensic and correctional psychology, among many others. The posts are humorous yet helpful, and most include a vignette of a (mostly) real patient’s case. Sparring Mind is the work of Gregory Ciotti, a writer and manager of content marketing. The blog deals with behavioral psychology – specifically, the behavioral psychology of creative people. The blog posts cover a variety of topics such as communication, collaboration, and writing. SuccessConsciousness is a top psychology blog that’s ideal for the amateur psychologist. The blog is managed by self-improvement expert Remez Sasson, whose twice-weekly posts offer advice and exercises for things like achieving goals, building inner strength, gaining inner peace, and bringing about positive change to one’s life. The psychology of media, social media, and emerging technologies from Dr. Pamela Rutledge, Director of the Media Psychology Research Center. The blog focuses on all the reasons why media can be so addictive. The Mouse Trap is the blog by Sandeep Gautam, a self-educated psychologist based in London. But don’t let Gautam’s amateur status fool you. The Mouse Trap is one of the internet’s most popular psychology blogs, boasting more than 11,000 Facebook followers. Gautam posts multiple times a week on topics relating to positive psychology, neuroscience, and emotional/motivational subsystems. The Neurocritic This blog stems from the Neurocritic’s own experiences with psychiatry and writing. Blog posts are written anonymously and delve into the critical analysis of many psychological topics. The blog is an excellent resource for students developing their critical thinking skills. This blog, dedicated to the study of neuroscience, molecules, and the brain, contains many links to current and cutting edge research. The Psychology of Video Games is a fantastically entertaining niche blog that examines the ways in which psychology affects and influences video games. The blog, which also enjoys more than 3,200 Facebook fans and 3,700 Twitter followers, is managed by Jamie Madigan, who introduces a new post about once a month. Psychology meets philosophy on The Splintered Mind, the popular psychology-themed blog of writer Eric Schwitzgebel. Each of Schwitzgebel’s blog posts looks at a popular psychological topic in a new way, and always manages to be of interest for both professionals and amateurs. The Team W Blog is the work of Susan Weinschenk, ‘The Brain Lady’ and one half of The Team W, an extremely successful consulting firm that has worked with dozens of Fortune 1000 companies. The Team’s blog is a useful compilation of all things behavior science, brain science, and design. In this blog, supported by About Health, students learn about the many different spectrum disorders and how they impact individuals and families. It is also a helpful resource for staying abreast of the current research in autism and spectrum disorders. We’re Only Human is the blog associated with the Association for Psychological Science. As such, it’s a treasure trove of fascinating in-depth articles about the human condition: why we think, act, and feel the way we do. The blog is organized by Wray Herbert, a staff writer for such lofty publications as Science News, Psychology Today, US News & World Report, and Newsweek. This blog was started as an introductory site for those with an interest in the field of psychology. Since the first blog posts in 2011, it has evolved into a comprehensive website outlining many specialty areas and topics in the psychology field. It is an excellent read for those new to the field as well as seasoned professionals. Workplace Psychology features scholarly and engaging contents about leadership development, change management, organizational change and development, talent management, learning & development, and industrial and organizational psychology. The World of Psychology is a great resource for those on the go. The popular blog, which is associated with PsychCentral, boasts a panel of contributors who post interesting snippets covering everything from random musings to the latest news in the field of psychology.